Barbie Care Clinic Vehicle, Lowest Price to Date! This is going to make someone’s year! 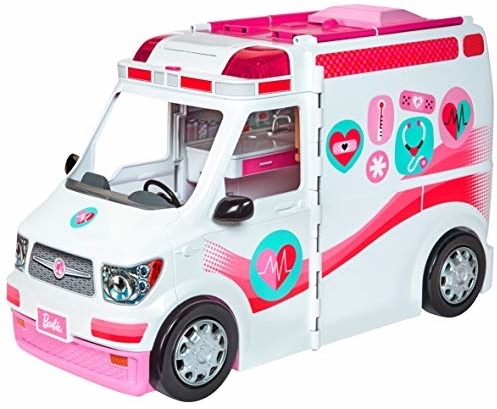 🙂 Head over here where you can find the lowest price to date on the Barbie Care Clinic Vehicle for $35.99 (reg. $54.99) shipped! Awesome reviews too! 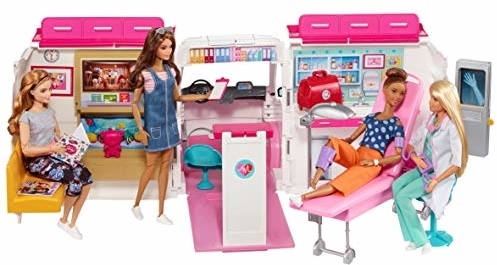 Barbie’s a doctor on-the-go with this transforming emergency care playset! Drive to Barbie’s house calls in style with the care clinic vehicle that lights up and rings the siren at the press of a button. Pulling the lever on the back of the van transforms the playset into a full hospital with a waiting room, check-in area, and exam room! Featuring more than 20 interactive accessories like a blood pressure cuff, stethoscope, and crutches. Some pieces have handles that can be held by Barbie for realistic play! Then, fold up the vehicle to get back on the road. Vehicle stores all pieces for playing on the go. Safe for ages 3 and up. Barbie doll not included.